OMG. I’m crying a bit as I read this terrible news. I feel so guilty. The warmists were right all along! Please, please won’t someone think of the children… err I mean grand children… umm great… err oh, well somebody young in the future. Met Office motto has become “No Straw Left Ungrasped”. 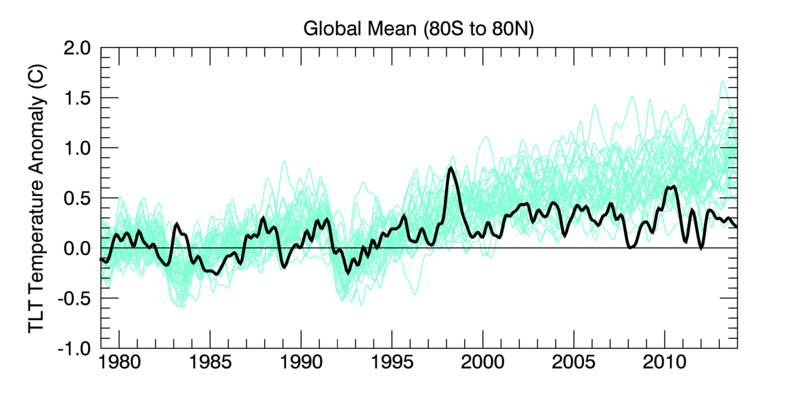 An increase in anomaly a tenth the size of the error bars – amazing. As Paul Homewood usefully points out surface temp records are so heavily fudged (sorry homogenised) that nothing can be determined from them anyway, unless you have an agenda. O.M.G. … Sacré bleu! It must mean the end of the world!!! In Central Australia, on a winter June day, the temperature can change by 20 degrees centigrade between breakfast and lunchtime? Centralians don’t even bat an eyelid over it. Nor has nature ever had a problem with it. And to think some people are worried about a 0.01 degree centigrade rise in temperature!!!! I see that this subject has sparked many discussion on the Internet in the last few days. Everywhere around the world the global warming is showing its effects, by reaching records that were not expected, although the 0.01 degree may not seem scary. I guess you have a lot to say about climate change. I think it’s obvious, you can see it with bare eyes. Still, many people just deny it for now. The most important place to look for explinations is the ocean. We keep discussing cars, energy consumption, but shouldn’t we say a word about oceans? Are they so insignifiant or so small that they don’t matter? If you’ll see at the oceans you’ll find some patterns that cand be found on today’s warming. Am I right or not? although the 0.01 degree may not seem scary. It may not seem scary, because it isn’t scary. Not even a little bit. The earth could warm by a degree yet without even the slightest concern, since the good would outweigh the bad. Two degrees might even be beneficial. I’m also bemused by your “not expected” records, since climate science has been predicting much higher ones for decades now. Much higher. What is not expected is how slow the rise is. Seeking an explanation “in the ocean” is a red herring. The question at issue is whether man-made CO2 and other GHG is causing the earth to warm catastrophically or not. Pretending the oceans ate it is little short of pathetic. The current slow rate of temperature growth is a disaster for mainstream CO2 obsessed scientists. It is a vindication for those of us who are predicting continued slow warming, based on the past century’s rise out of a minimum. Congratulations Paul on keeping at this nonsense with calmness and precision. We are saved. The global temperature has “come off the boil” in November, according to the latest NASA GISTEMP data, which shows that 2014 is so far 0.01C cooler than 2010, not warmer. That’s a huge relief. Well it is now June, 2015. In this part of rural Eastern Virginia our daffodils, who normally used to show up in late February, finally appeared at the end of March. I’m a climate skeptic and I didn’t feel any heat until mid-May – and believe me if there’d been heat I would have known about it as my angina would have abated a bit. Twenty – thirty years ago we would have been having temperatures in the 90s (F) by late May – early June. So far we had one day over 90degrees with most daytime temps in the low eighties to low seventies. Last week we had an extended storm system coming by with daytime highs in the mid-sixties nighttime lows in the fifties. We used to go to New Hampshire to escape the heat of early June but haven’t needed to go in several years; it just hasn’t been that hot here and it’s been miserably cold in New Hampshire. And I’m using a lot more nitro-glycerine tabs than I used to. So NASA stick your homogenized lies where the sun don’t shine – you’re not fooling anybody in this house.